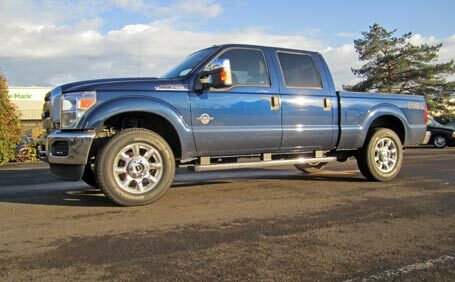 Review: 2011 Ford Super Duty F250 XLT 6.7 Power Stroke | WARN Industries | Go Prepared. Ford has made some significant changes to the 2011 Ford Super Duty lineup. Among them is the new 6.7-liter Power Stroke diesel option. I spent a week with the new Super Duty, and must say, it's quite a truck. 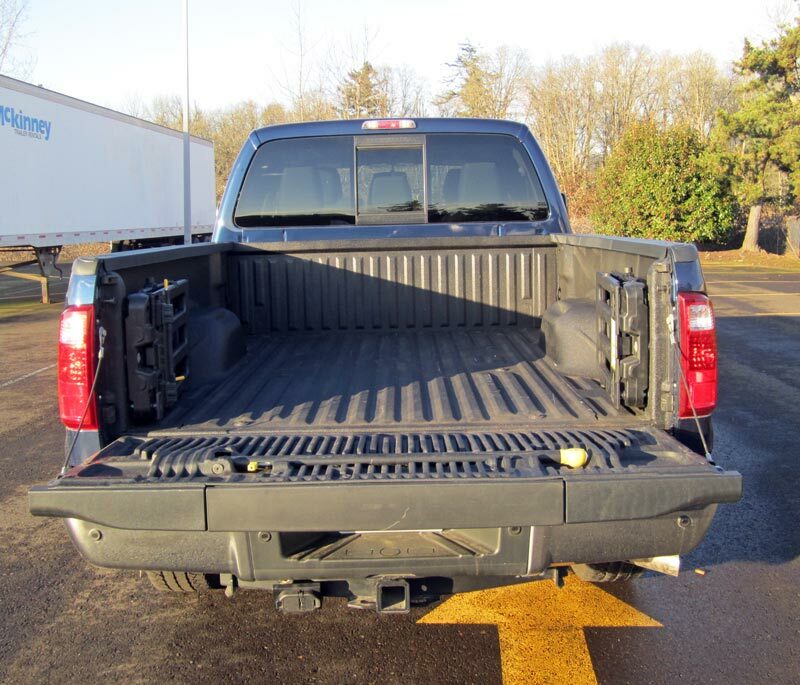 Although some aspects of the truck have carried over from the '10 model year, there have been sheetmetal and trim changes, most notably the chrome grille, headlamps, and side vents. And make no mistake about it, even in stock form, the '11 F250 is a big truck. Add to this a whopping 400 horsepower and a frame-twisting 800 ft./lbs. of torque from the new turbocharged, diesel-powered Power Stroke V-8, and you've got a really big, really powerful stock rig. 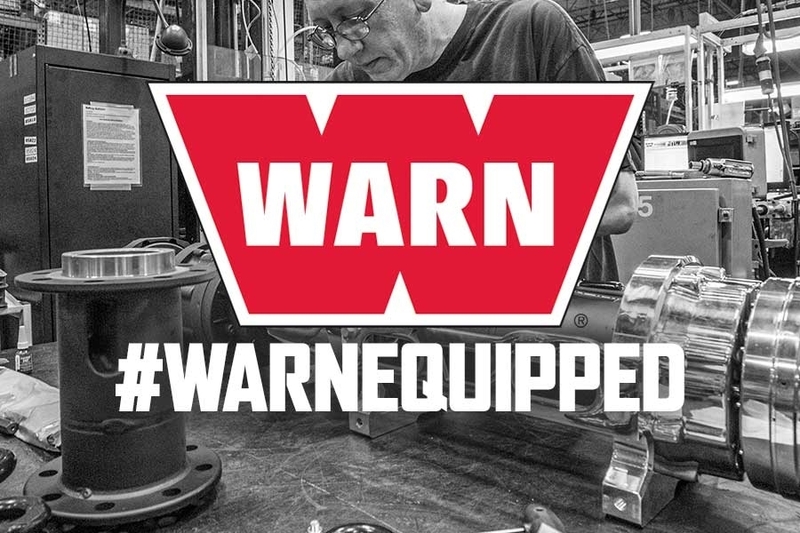 By the way, did you know Warn Industries supplies the manual locking front hubs for all 4x4 Ford Super Duty trucks? Step on the gas and you'll be rewarded with plenty of grunt, especially around 1,500 RPM. Even from a rolling start, you could get the rear 20" wheels wrapped in 275/65/20 rubber to break loose. Power is run through a six-speed automatic transmission, and coupled with the right options, this translates to 14,000 lbs. of towing capacity. This particular F250 had the FX4 off-road package, too. The inside of the truck is comfortable, utilitarian, and surprisingly quiet at speed. There are two bucket seats and a large center console for all your stuff. The back seats have plenty of room for passengers, too. This test model included Ford's SYNC system, which is a great way to connect your phone/MP3 player to the vehicle's stereo. It takes a bit of getting used to, but once you figure it out, it works well. 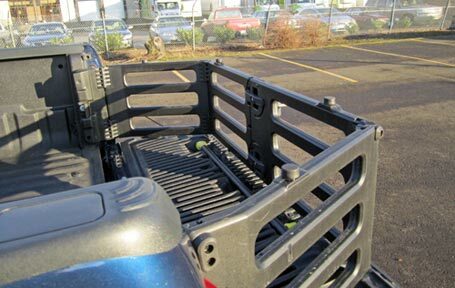 The F250's box features the integrated, and highly useful, tailgate step. This vehicle also had the integrated bed extender which folds away when not in use--a convenient feature. There was also the the optional Cable Lock by Master Lock, which retracts a locking cable that lets you secure cargo in the box. It's no secret the F250 is a major player in the heavy-duty truck market, and these new options and features should help it continue to be a popular choice for buyers. A base, gas-powered F250 will run you about $39,420; this one was optioned up to $55,435. 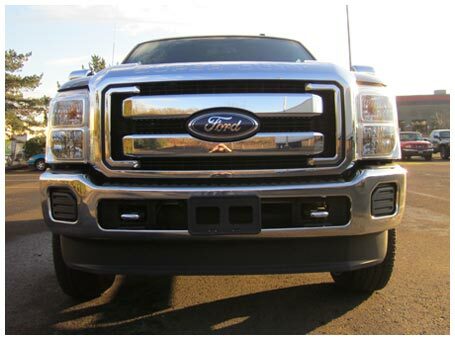 If you're looking to outfit a 2011 F250, WARN offers its Gen II Trans4mer along with a host of lights and winches, and accessories.